Difflam provides powerful, effective relief from sore throats caused by common mouth and throat infections such as thrush, sore throats and oral pain. Difflam comes in two varieties; an oral rinse for gargling and swilling around the mouth, and an oral spray that can be sprayed directly on the area that requires treatment. Difflam contains benzydamine hydrochloride to help reduce inflammation. Get fast and effective relief from the pain and discomfort caused by mouth and throat infections with Difflam. Difflam is pain-killing & numbing and is used for the treatment of sore throat, mouth ulcers, gum pain and other oral pains. 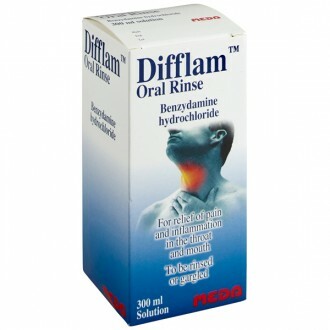 Difflam Rinse can be diluted with water if stinging of the mouth occurs when used. Difflam is an easy to use rinse that can be used to treat symptoms of sore throats, gum pain, mouth ulcers and other oral pains. It contains the active ingredient benzydamine hydrochloride, which is a non-steroidal anti-inflammatory drug that reduces inflammation and pain in the mouth and throat. The active ingredient in Difflam is an non-steroidal anti-inflammatory drug that acts similarly to ibuprofen. It is a painkiller that can be used to relieve moderate pain and reduce inflammation. It is generally more effective when applied directly to the area suffering from pain. Many other mouth rinses differ in that they use an anaesthetic to numb pain. Mint flavoured Difflam oral rinse can be used by adults and children of over 12 years of age. It is easy to use as a mouthwash. It is dispensed in 200ml bottles with a useful measuring cap to help get the dosage just right. Difflam Spray provides effective relief from pain, soreness and swelling in the mouth and throat. Its active ingredient benzydamine hydrochloride is an anti-inflammatory which helps heal the pain at its source. Get fast relief from sore throats with this easy-to-use mouth and throat spray. Difflam Spray contains benzydamine hydrochloride, an anti-inflammatory pain reliever. Unlike other sore throat spays it is not a local anaesthetic. Difflam spray comes in a convenient, portable dispenser that you can keep with you when you are at home or on the go. It can be sprayed directly at the site of the pain and provides a cooling numbness that relieves soreness and swelling. Difflam Throat Spray may numb the mouth and throat. Avoid hot food or drinks as you may inadvertently burn yourself. Difflam Throat Spray provides powerful, effective relief from sore throats caused by common infections and mouth pain. When combined with a paracetamol based product, Difflam oral rinse can help provide relief from more intense pains. 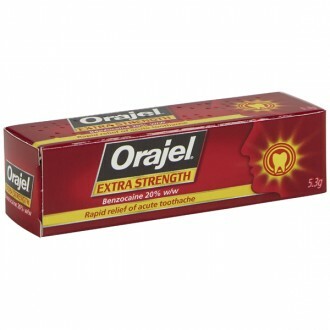 Gargle or rinse around the mouth 15ml of Difflam, using the 15ml measuring cap provided. Spit out the rinse afterwards. Use every 1.5 to 3 hours, as required. Do not swallow the solution, always spit it out. Do not bring solution into contact with eyes. Do not use Difflam for more than seven days without medical advice. Store between 5-30 degrees C, never freeze the solution, and do not leave bottle uncapped and in direct sunlight. Always read the full instructions before using a new medicine. Four to eight puffs, every, one and a half to three hours. One puff for every 4kg of body weight. Use up to a maximum of four puffs, every, one and a half to three hours. Occasionally, oral tissue numbness or 'stinging' sensations may occur. Hypersensitivity reactions occur very rarely but may be associated with pruritus rash, urticaria, photodermatitis and occasionally laryngospasm or bronchospasm. Ethanol 8.1% w/v FU, Glycerol Ph Eur, Methyl Parahydroxybenzoate Ph Eur, Mouthwash Flavour, Saccharin FU, Sodium Hydrogen Carbonate Ph Eur, Polysorbate 20 Ph Eur, Purified Water Ph Eur. 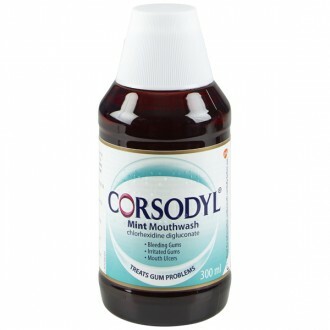 Ethanol, Glycerol, Saccharin Sodium, Mouthwash Flavour, Polysorbate 20, Methylhydroxybenzoate, E104, E131, Purified Water. Reading the following warnings carefully will help to ensure Difflam Rinse is appropriate for you. This product is not recommended for use by children aged 12 years of age and below. Avoid using this product for more than seven days at a time. Consult your doctor or pharmacist if the condition does not improve or if it worsens. Do not contact the eyes with this product. Reading the following warnings carefully will help to ensure Difflam Spray is appropriate for you. Wipe the nozzle with a tissue after use to prevent any blockage. 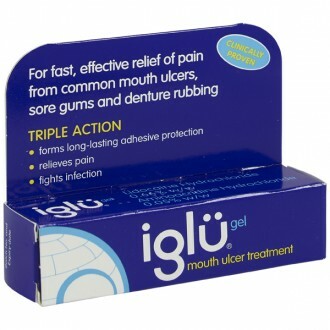 If prolonged stinging occurs in the throat or mouth stop using this product. Use 15ml of Difflam oral rinse. Pour into the measuring cap, and rinse or gargle in the mouth for up to 30 seconds. Then, spit out the rinse. If Difflam oral rinse causes a stinging sensation in the mouth, dilute it with a measuring cap’s worth of water. What is Difflam oral rinse used for? How does Difflam oral rinse work? Difflam oral rinse uses the active ingredient benzydamine hydrochloride to reduce pain and inflammation. Benzydamine hydrochloride is a non steroidal anti-inflammatory drug. Benzydamine reduces inflammation and pain by stopping the formation of prostaglandins, which cause these symptoms and are a response to injury or disease. Benzydamine is also a local anaesthetic, to reduce pain directly on application. How long does Difflam oral rinse take to work? Soreness and inflammation should have reduced within a week of using Difflam oral rinse. If there is no easing of symptoms after this amount of time, consult with a doctor or dentist. You should not use Difflam oral rinse for longer than a week without consulting with a doctor or dentist.